To all the CEO’s out there who are the conductors of innovation theatre within their organisations and showcase this theatre as your innovation strategy to your teams, your customers, your shareholders. Willing or not. Intentional or not. Known or not. You all can and must do better. 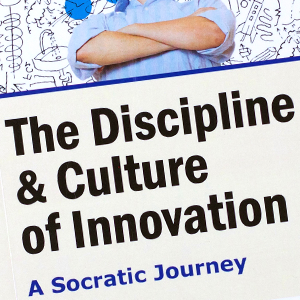 Playing innovation theatre as innovation strategy is an abuse of power, a waste of talent, a destruction of organisational culture and is an experiment driven by ego, ignorance, laziness or hubris. Allow me to be clear here. I have no real issue with innovation theatre in and of itself. I actually believe it has its place within a broader innovation strategy and portfolio of activity. What I do hold as unacceptable is the inability to label it correctly, to be honest about what it is and isn’t and to explain where this fits into an overall innovation strategy. Instead, all too often, the innovation theatre work is “the innovation strategy.” I repeat, you all can and must do better. I am not saying that all CEO’s are guilty of this. However, I am frustrated at the number of conversations I am part of where innovation theatre, rather than innovation strategy, is clearly at play. If you are a senior business leader reading this article, ask yourself, honestly, what is your innovation activity for? Not the corporate answer. I rarely get the truth if I push a CxO on this, but from time to time I do. In a recent conversation with the CTO of a global law firm, he shared with me that their innovation strategy is really “a PR strategy for recruitment and talent purposes.” Finally. Some honesty. As I say, I honestly can see why this has a place. We all love the shiny. However, marketing sheen on your office set up and a new dress code (for some), is a recruitment strategy in this instance, not your innovation strategy. If anything happens in these shiny, new spaces, they may be part of your innovation toolkit, even. But they are not your innovation strategy. In an earlier article for this site, Innovation Alibis (or inadequacies), I shared the story of a CEO from a global services firm, “who when challenged on his firm’s innovation strategy told me proudly they had a very good innovation strategy and had recently done an event with robots,’ and that was his innovation story. Pure theatre. We all need entertainment, but it’s part of a rounded lifestyle, not a lifestyle unto itself. Given the work we do at Wazoku, I think it is important to state, that the running of idea contests can sometimes be challenged as innovation theatre. As I stated earlier in this article, I have no real issue with this, as long as it is labelled and position correctly. The reality is that if run properly such idea contests can have a positive impact on overall culture, be a great way of engaging a wider audience, sharing good practice and more. However, idea contests can be so much more than innovation theatre, and can underpin and supercharge an overall innovation strategy. If run properly, innovation software, should be a positive signal that your organisation is ‘doing’ innovation. However, momentum is likely to fall flat without backing up the top ideas with funding, expertise and time. Always ensure that your innovation contests start with a well-defined and relevant challenge or problem statement, and that leadership provide strategic guidelines so employees will know what type of innovation to generate (incremental, adjacent or disruptive) and understand the strategic challenge against which innovative solutions are being sought. In his article Creating an Organisation-wide Innovation Strategy, Cris Beswick cites the finding from the 2017 PWC Innovation Benchmark, that 54% of companies struggle to align innovation strategy with business strategy. An outcome of innovation theatre, should really be of no surprise to anyone. Indeed, 65% of companies pretty much validate this point, by stating that despite significant investment in innovation, aligning it to the wider business strategy remains one of their biggest challenges. At Wazoku, the innovation management software company I founded several years ago, our mission is to drive EveryDay innovation. EveryDay innovation means making innovation a real part of everyday business life. At Wazoku, EveryDay innovation is the concept we live by. The most compelling leaders are those who are deeply and emotionally committed to the purpose of their corporation. The primary purpose is not about maximising sales or profits, but about the problem the company is solving for and its role in society today. They are emotionally engaged around the corporate purpose and they can instil this same level of engagement and commitment in their corporate culture. This is often the special sauce that divides a founder driven start-up from an established corporate. There’s really only one way for a corporate to become innovative and that’s through cultural change that’s driven from the top down. And I don’t mean via the newly appointed Chief Innovation Officer, but from the CEO. Talking a good innovation game does not make you innovative by default and frequently results in being an expensive exercise in “so what” that doesn’t result in any meaningful value creation for the business. Surely, we all know this at an intellectual level, so why do we pay such lip service to it at a cultural and operational level within our organisations? And so I repeat, CEOs, you can and must do better. The long-term future of your organisations depends on it. We must balance our theatre within our overall innovation portfolio, before the final curtain falls. Simon is the founder of the award winning innovation management software company, Wazoku.